Art is my spiritual path. As a young boy, wandering in the woods by my home, I would spend hours drawing the wondrous world around me. Trees in particular inspired me to capture their essence as I underwent my initial artistic apprenticeship. Allowing creativity to flow unimpeded through me has been my daily practice as I explored the language of art. My passion and love for the artistic path has sustained me through thick and thin! I could not have done this alone. I want to offer my sincerest gratitude to everyone who has supported me in my endeavours as I've uncovered templates of consciousness. My adored wife Eve, and our daughter Tara, give meaning to my life. My faithful friends and avid collectors have made it possible for me to take this journey. My spiritual teachers, seen and unseen, are unfailing in their guidance. Richard Roblin's meditations on form and color, shape and texture reveal a keen understanding of the natural world and our relationship to it as stewards of the Earth. Through careful layering of paint and an almost archaeological precision in the revelation of things hidden, Roblin crafts works of quiet beauty and power. 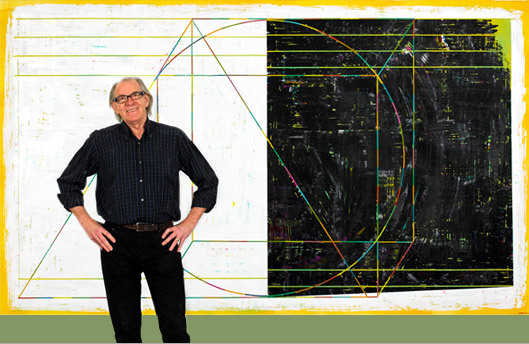 While it could be said that his background as an architect informs his artistic practice - a duality that he has fostered his entire life - it seems equally appropriate to suggest that Roblin's spiritual journey of self-discovery and inner reflection have honed his perception of the world and sing through his painting. Richard Roblin's works have been exhibited at the Museum of Modern Art in New York, the Montreal Museum of Fine Arts, and are held in numerous corporate and private collections the world over. Copyright © 2008 - 2018 Richard Roblin | This website, and all of its content, is the property of Richard Roblin.